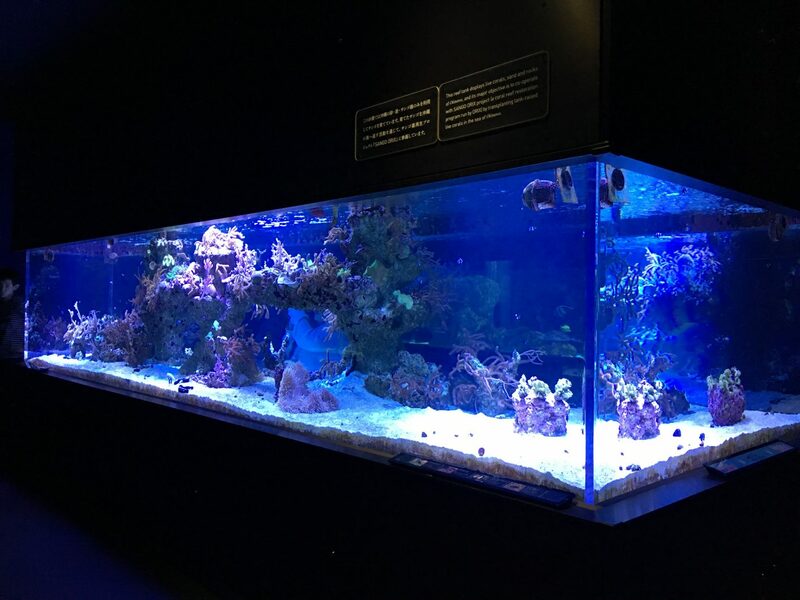 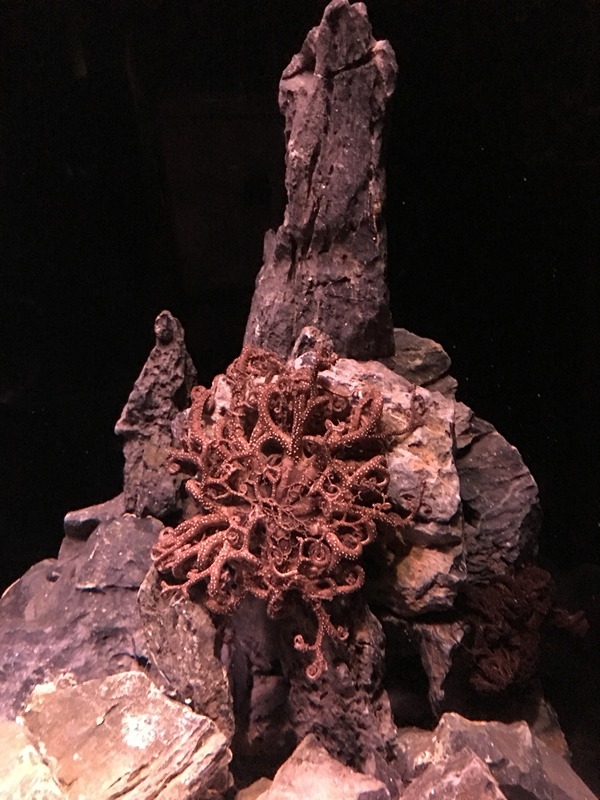 Orphek Reef Tour in Japan – Sumida Aquarium in Tokyo – Reef – part III. 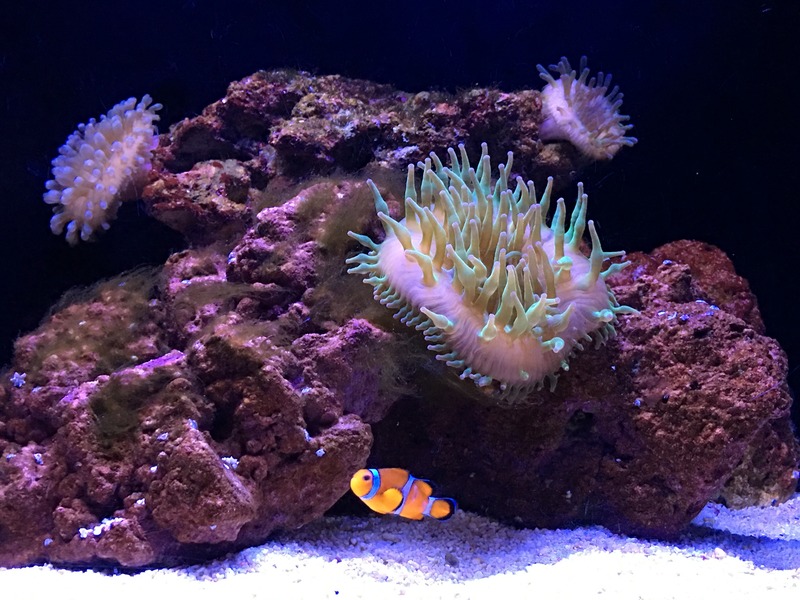 Orphek Reef Tour to Japan could not be completed in Tokyo without showing you some reef! 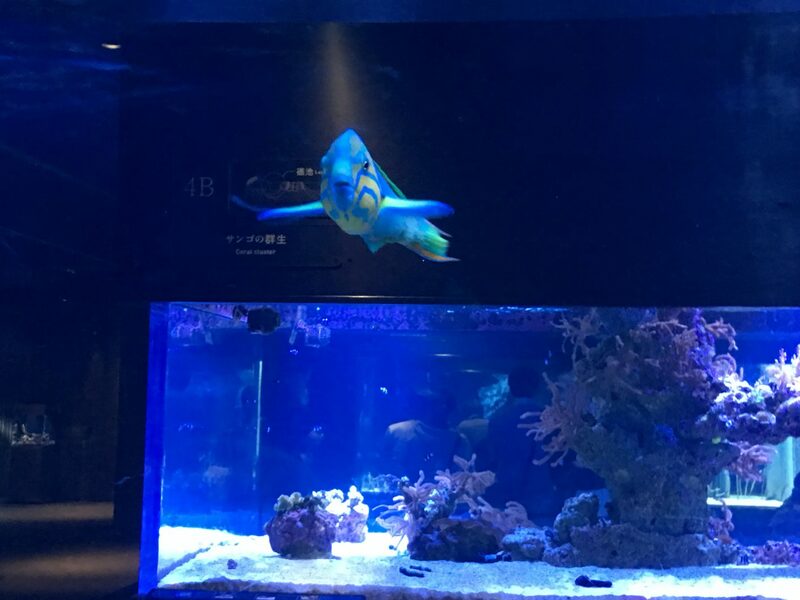 (If you did not read the previous Orphek Reef Tour to Japan articles – PART I and PART II click on the link to read now). 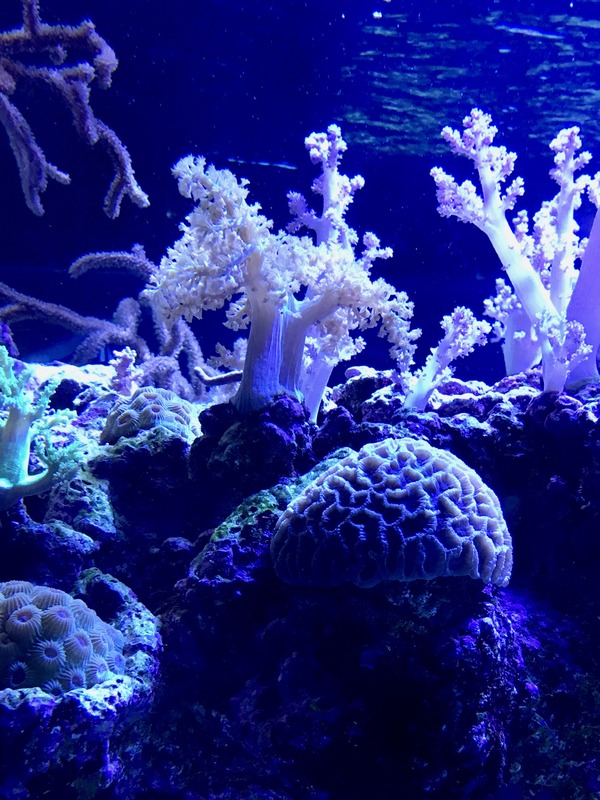 Nurturing Light and Water is the area where 4 big reef corals tanks are located. 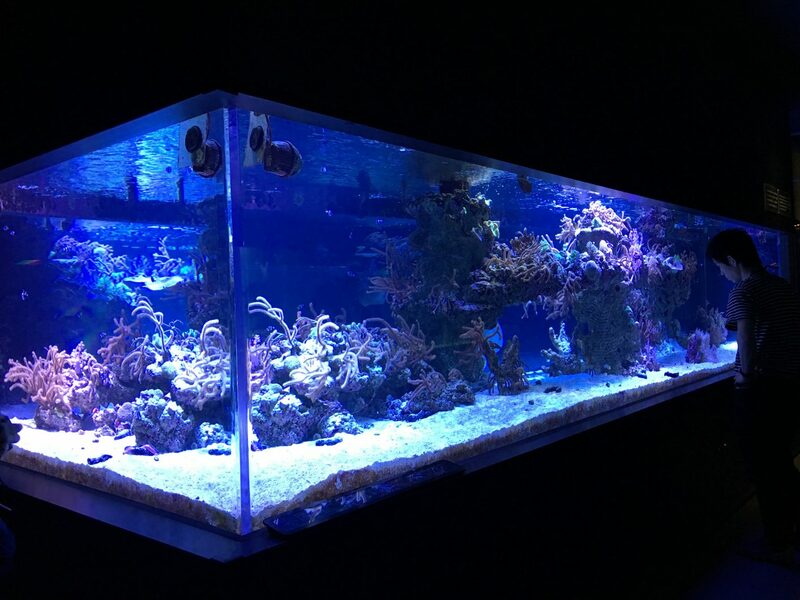 360 degrees reef tanks are displayed in such a way that it can be observed from all directions and angles as if you were diving underwater through them. 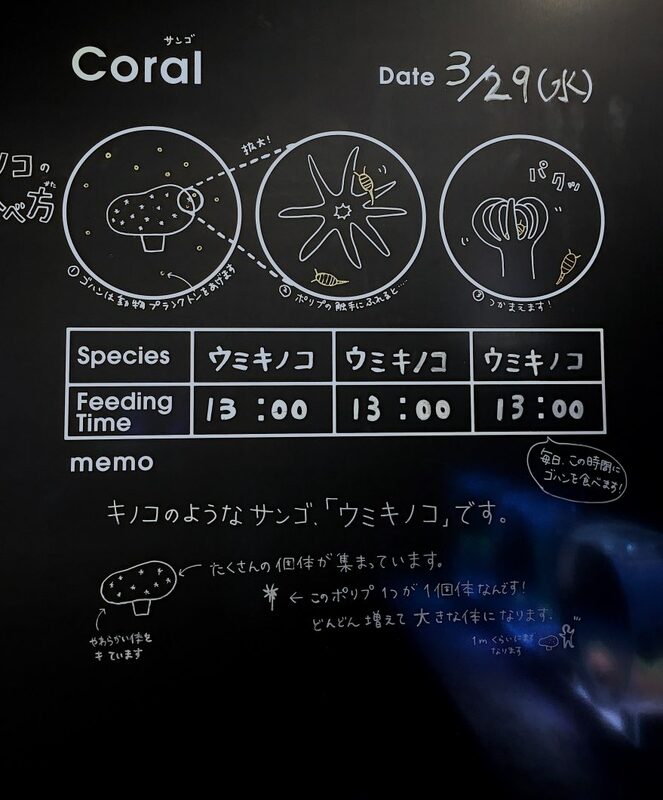 Also we loved the idea that Sumida Aquarium gave a special thought about the color spectrum. 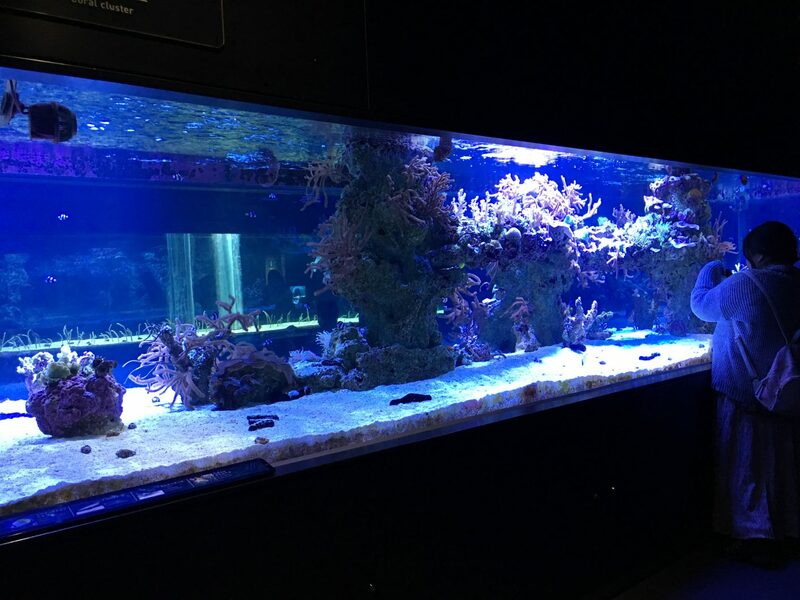 The room is almost totally dark to give focus to the tanks. 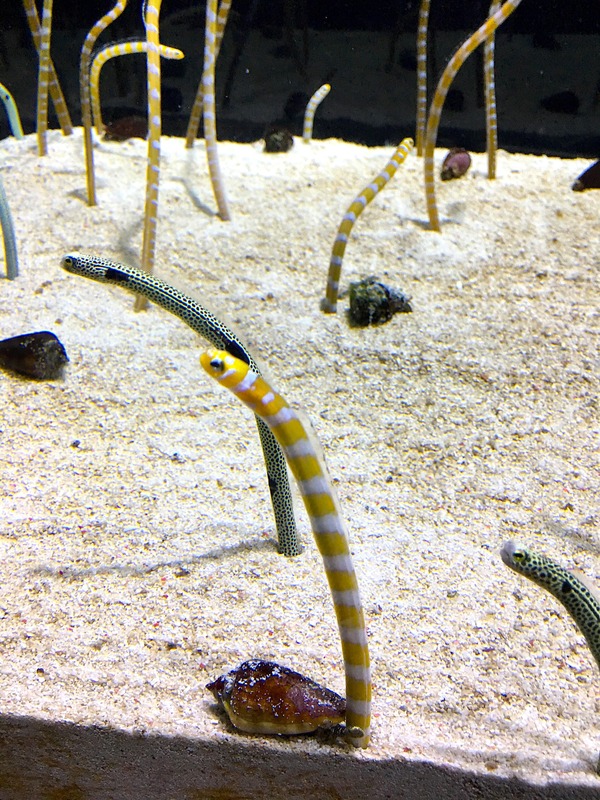 Here we could experience views of marine life native to Tokyo’s seas highlighted by species unique to the Ogasawara Islands. 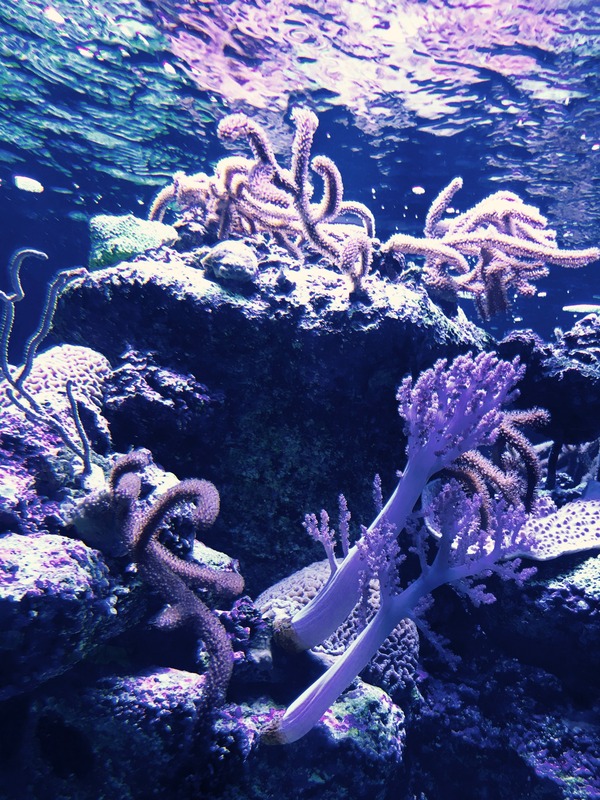 (Tokyo’s seas encompass Tokyo Bay and the waters off the “Tokyo Islands,” a collective term describing the chain of islands stretching from the Izu Islands in the north to the Ogasawara Islands in the south). 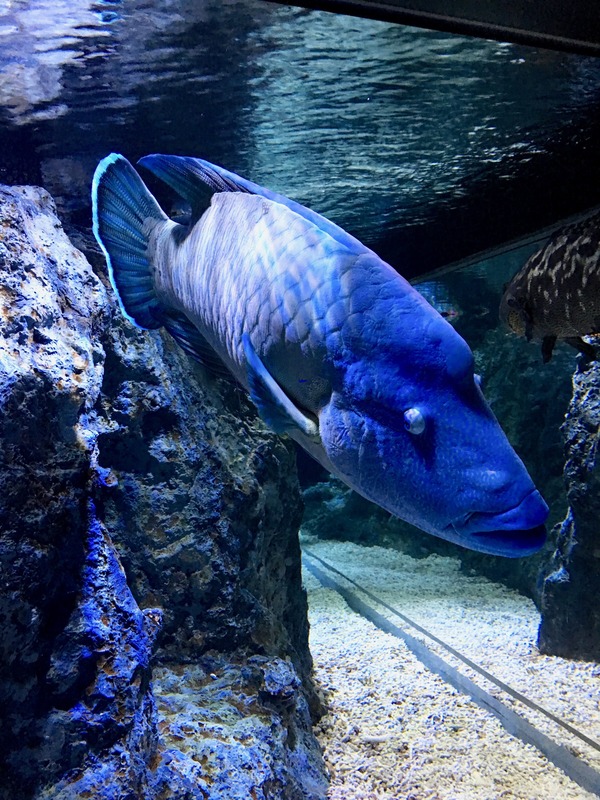 According to their website at the SUMIDA AQUARIUM, visitors can experience first-hand the seas of the Ogasawara Islands, a World Natural Heritage Site around 1,000 km away from Tokyo). 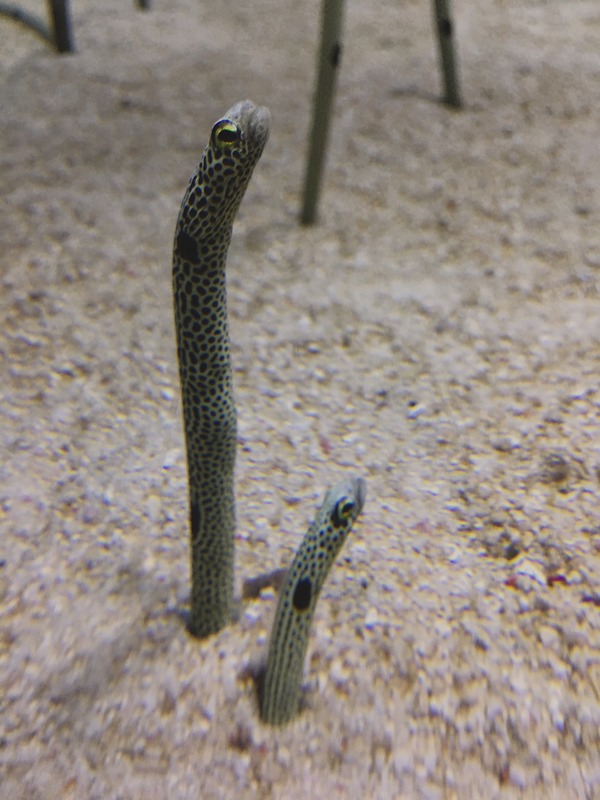 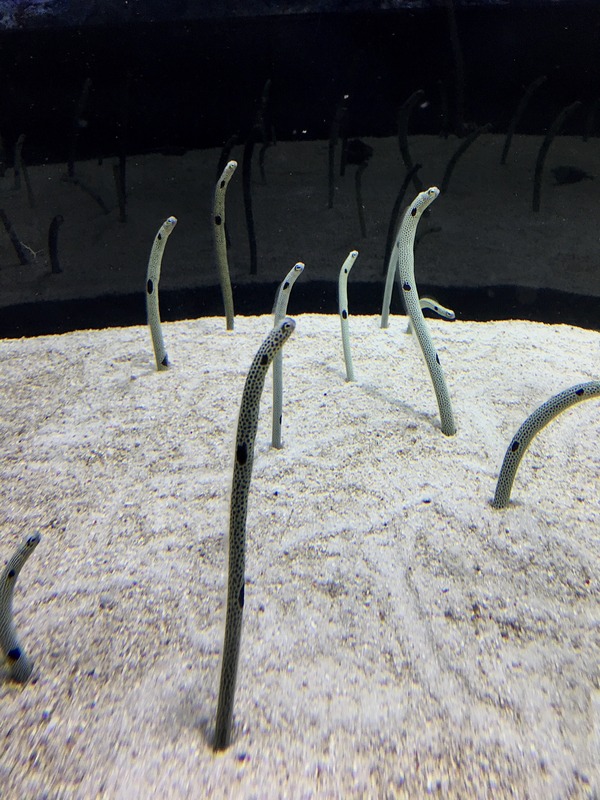 Frankly the most curious and fun is the 5m tank called Garden Eel where 634 small garden eels sometimes tangle with each other, fight, or pop out of a burrow to swim!